If you’ve never fasted, you may think of fasting as some kind of weird religious activity intended to get us in tune with the universe. Well, fasting is weird because it’s rare. And it’s religious in that most major religions practice fasting. The Bible talks about fasting as a spiritual discipline – a means, not of earning any favor from God, but of connecting with him more deeply to hear from him. Fasting is one of the most misunderstood spiritual disciplines in the church today. And in a society where we want for nothing, abstaining from something we want carries little appeal. Yet fasting isn’t about lack–it’s about drawing closer to God and resting in his abundance. 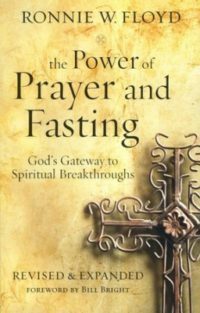 In this essential, foundational handbook to biblical fasting, Elmer L. Towns, one of the leading authors on the topic, will help you discover the amazing spiritual benefits of prayer and fasting. Is your soul so stuffed with worldly desires that you have little room left for God? Piper invites you to turn from materialism, and sharpen your appetite for God through prayer and fasting. 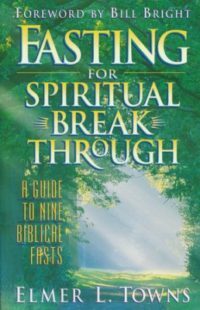 His exploration of fasting will help you understand how this ancient biblical practice can nourish your spiritual life and satisfy your longings. 201 pages, softcover from Crossway. Pray to God? Sure! But fasting? Sharing compelling real-life experiences, the host of Ronnie Floyd Winners shows how these two disciplines together have changed lives! In this updated edition, you’ll learn how to renew your spiritual walk with simple, practical plans for a one-, 3-, 7-, or 40-day fast. Includes a new chapter about church-wide participation. Fasting can strengthen your faith! 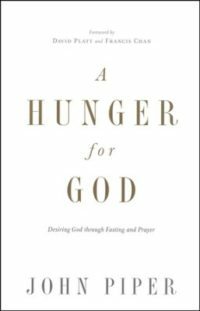 In this thought-provoking book, Towns looks at Isaiah 58 to give you the why of fasting, as well as the how. He also shows you nine biblical models, such as “The Disciple’s Fast” (to break sin’s power) and “The St. Paul Fast” (to make decisions and gain insight). Can the body play a role in our pursuit of God? 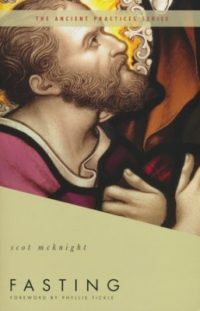 In Fasting, Dr. Scot McKnight reconnects the spiritual and the physical through the discipline of fasting. 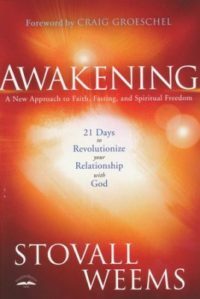 The act of fasting, he argues, should not be focused on results or used as a manipulative tool. It’s a practice to be used in response to sacred moments, just as it has in the lives of God’s people throughout history. 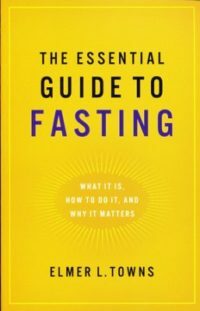 McKnight gives us Scriptural accounts of fasting, along with practical wisdom on benefits and pitfalls, when we should fast, and what happens to our bodies as a result. Is your walk with God vibrant and passionate? Or have you been hitting the “snooze button”? Wake up your slumbering soul with Weems’ 21-day guide to healthy prayer and fasting. You’ll regain your focus, rediscover grace, and be filled up by God as you create a space for him! Includes meal suggestions and recipes. Can fasting pave the way to wealth and fortune? 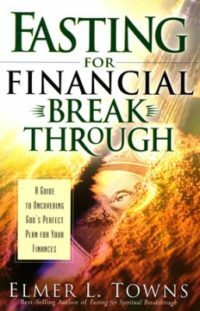 Probably not…but it can unearth a more precious treasure: God’s direction for your life—including your finances. In this sequel to Fasting for Spiritual Breakthrough, Towns explores how prayerful fasting relates to stewardship, gratitude, financial problem-solving, and trusting in God’s provision. Are you seeking healing? Does a loved one need salvation? Is your faith community searching for direction? Tap into the power of fasting and present your requests to the Lord! Offering simple suggestions, Franklin shows how abstaining from food will leave your spirit uncluttered so you are free to seek God’s will in prayer and humility. 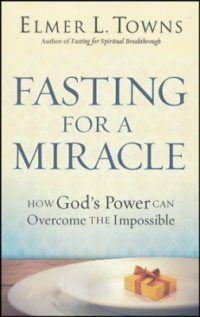 A groundbreaking look at two of the least understood topics in today’s church—fasting and miracles! Discussing seven types of supernatural events—including creation, spiritual gifts, and prayer—Towns shows how God partners with us to do the impossible when we fast wisely and biblically. Meet a man who should be dead but lives, witness victory over addiction, and more. Note: This book is out of print, but is sometimes still available used via Amazon or eBay and is also available in a web-based readable format. 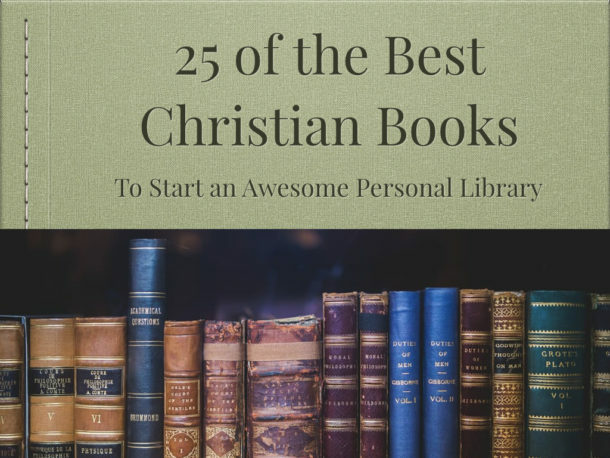 This handy reference guide will help make your time with the Lord more spiritually rewarding. It provides simple steps for beginning and ending your fast, suggest a practical plan for prayer, and offers an easy-to-follow daily nutritional schedule. Practical information on:How to Begin Your Fast What to do While You Fast How to End Your Fast Properly Tuck this booklet into your pocket or purse and use while you fast and pray. 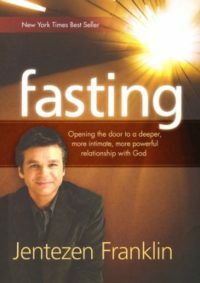 You can also see what else is available on the subject of fasting at Christianbook.com.